Ah, cleaning–some of us hate it, while some of us find it therapeutic. No matter what category you fall into, though, you’re going to have to clean at SOME point. 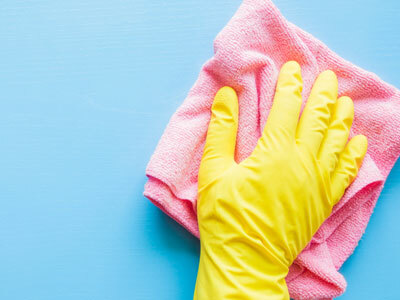 So, take a deep breath, read up on some expert cleaning hacks, and prepare to break out your vacuum, mop, and duster. Starting the cleaning process might be the hardest part. You have to be mentally ready to take on the omnipresent dust, mystery stains, and general filth around the house. You also have to make sure you have the proper attire and supplies. Plus, make sure you’re wearing something that you don’t mind getting dirty and DEFINITELY make sure you have enough paper towels and wipes. Need a spark of inspiration? Simon & Schuster author Jen Beagin’s new novel VACUUM IN THE DARK may just do the trick. Not only does the book revolve around a housecleaner named Mona, but Beagin herself used to clean houses herself and writes from experience. So you can lose yourself in the pages of this novel in between vacuuming the bedrooms and living room!